Impressed by what he saw of the Lumière show at the Grand Café in 1896, Danish court photographer Peter Elfelt tried unsuccessfully to buy a Cinématographe. However he befriended Jules Carpentier, construtor of the first Cinématographes, and saw enough of the works to be able to take detailed plans back to Denmark, where a camera was construted for him by engineer Jens Poul Andersen (1844-1935). With this camera Elfelt shot the first Danish film, Kørsel Med Grønlandske Hunde (Driving with Greenland Dogs), at some time between December 1896 and January 1897. Despite its title the film was produced in a Copenhagen park. Over the next fifteen years Elfelt made over 200 films and for the first ten of those years he alone was responsible for all Danish film production. 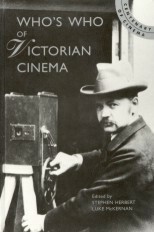 Elfelt chiefly produced filmed records of the famous, from royalty and politicians to sportsmen and composers, but also produced advertising and ballet films and his only (and Denmark's first) dramatic film, Henrettelsen (The Execution) in 1903. However, the production of film was always secondary to his main work as a photographer.